Stay safe and stay prepared with a high-quality recording of series of events in case of mishaps on the road. The Kogan Dual Car Dash Camera Video Recorder with GPS gives you peace of mind knowing that you have your version of the story recorded in case of an accident on the road when it’s your word against the other driver’s. It gives you high-quality audio and video that lets you pick out important details like number plates and street signs. 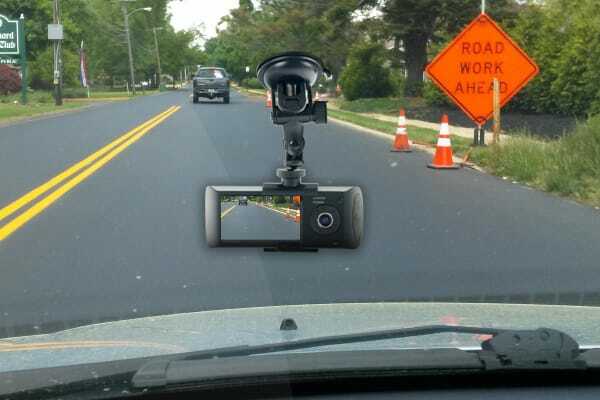 Combining hands-free recording with GPS technology, this Dash Camera gives you location coordinates throughout the video footage giving you the exact route you drove through. You won’t miss any important detail thanks to the 140-degree front and back lenses on this camera that simultaneously record footage of, both, the road as well as your car in superb quality. 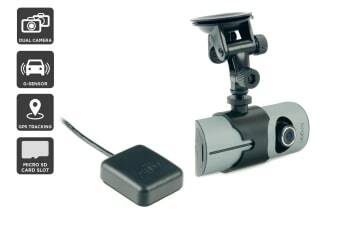 Mounting the camera on your dashboard can be done in one single step and it can then be set up to record footage as soon as you start your car! 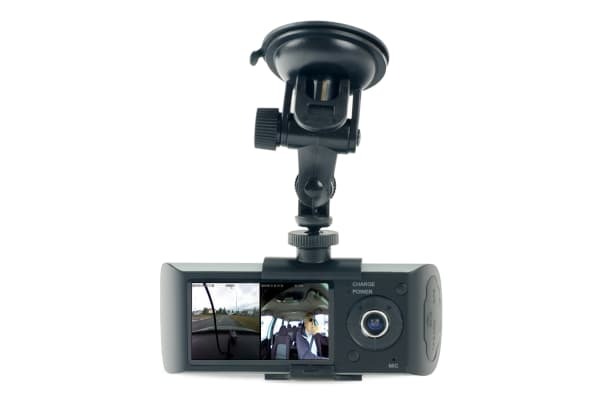 The Kogan Dual Camera Dash Video Recorder with GPS has security features that ensure that all footage of the accident is recorded and kept safe. Its built-in G Sensor and lithium battery continue recording footage for up to 2 minutes after an accident ensuring that you get the whole picture. Plus, the microphone and speakers record audio, so you are assured of video and audio footage with time and date watermarks too! The camera continues to record throughout the drive with the help of the in-car cigarette lighter power adapter. GPS tracking software not compatible with Mac OS. No instruction manual came in the box.